Our Biodegradable Degreaser quickly and safely eliminates built-up oil, grease and grime on metal, plastic, rubber and seals. 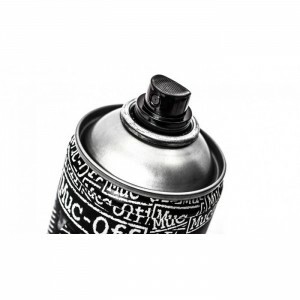 Its unique, "water soluble" formula means that after use it can be quickly rinsed away with water to leave your greasy bike parts completely clean. Note - Do not use on hot surfaces! 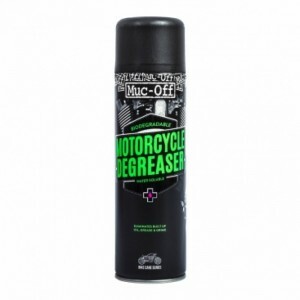 Say goodbye to oil, grease and grime build up on your motorcycles metal, rubber and plastic parts! 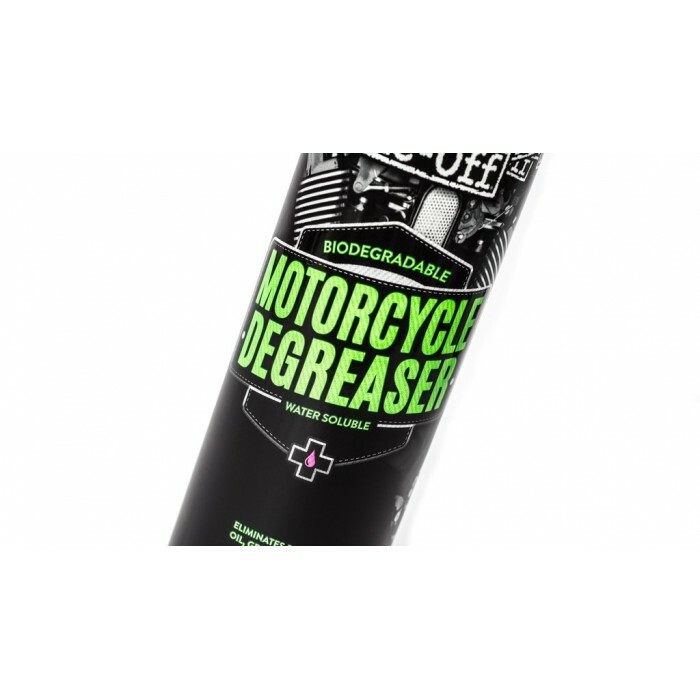 Our Biodegradable Degreaser quickly and safely eliminates built-up oil, grease and grime on metal, plastic, rubber and seals. 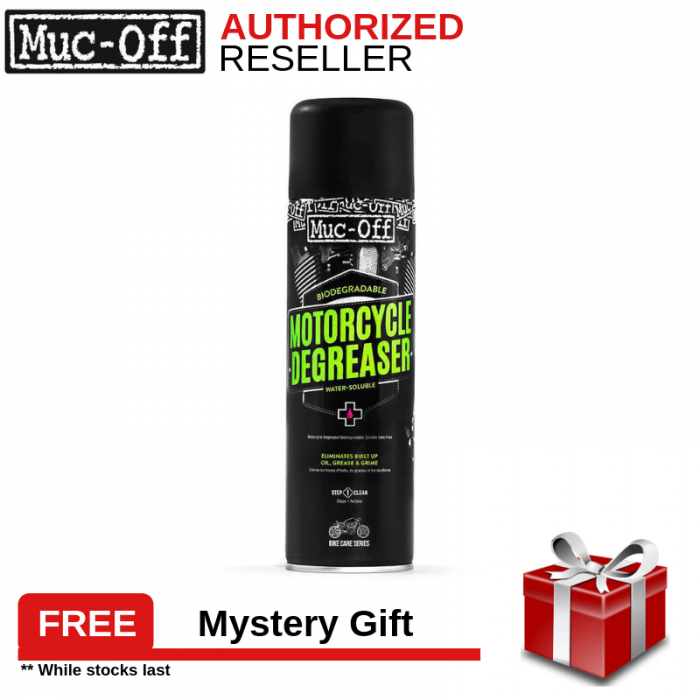 Its unique, "water soluble" formula means that after use it can be quickly rinsed away with water to leave your greasy bike parts completely clean. 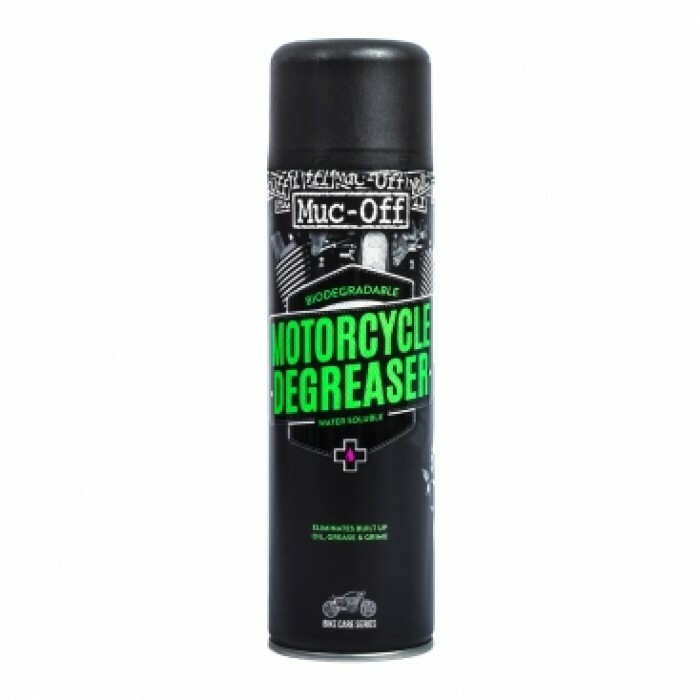 Our R&D team put in the hours to make sure this Water Soluble Degreaser works on even the toughest of grime including waterproof grease and chain lube/wax residue!